Samoset greeted the Pilgrims at Plymouth Colony on March 16, 1621. He spoke English and reportedly said, “Greetings, Englishmen. 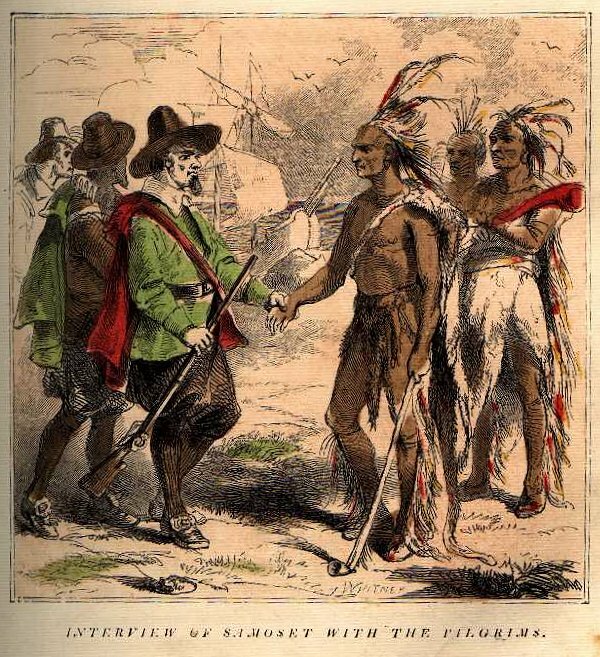 Do you have any beer?” An Abenaki sagamore (subchief), he introduced the Pilgrims to Squanto, who served as an emissary between the newcomers and the local Indians.